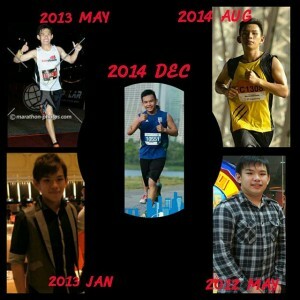 How running changes my life | JustRunLah! HI to all JRL readers, I am You Liang, 23 this year. 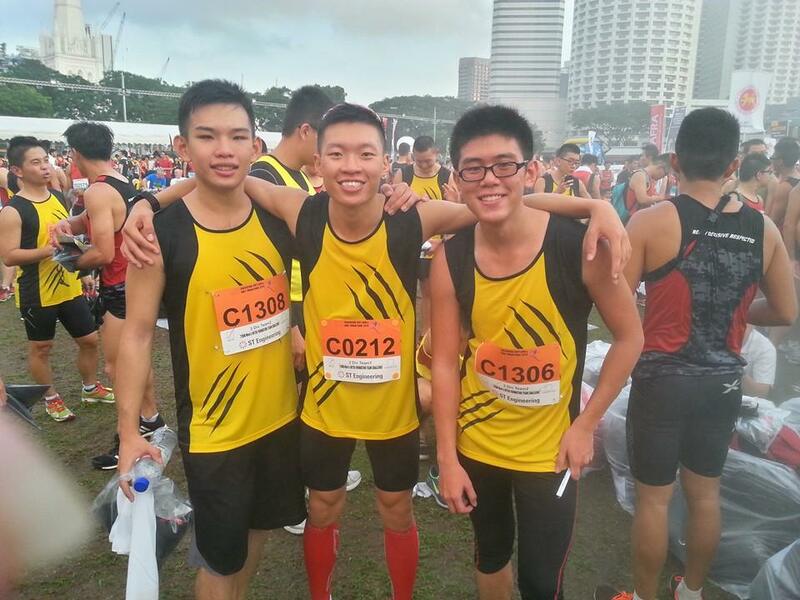 Before I start off with the normal race review entries, I would like to talk more about how running changes my life. Maybe after reading my stories, some of you are able to tell more of your non-runner friends,to motivate them to make their first step. Since young, I did not really enjoyed running, in fact, I hate running. Running to me is a torture, I always ask myself, why did we had to run? 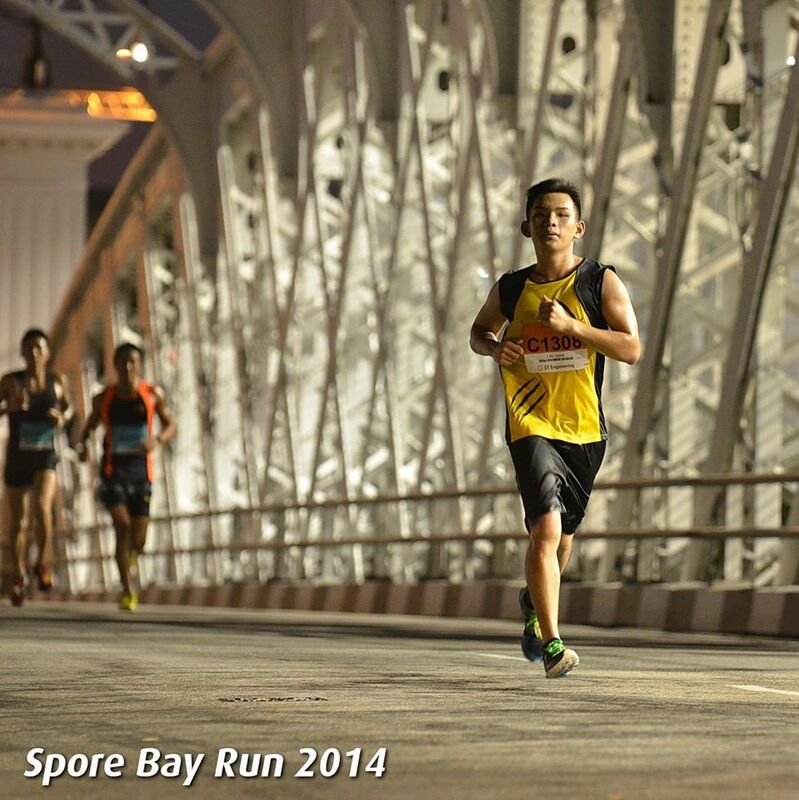 Why are we being force to take the 2.4km run? This mindset of mine does had a impact of how I looked like back then. See, this was my size during 2012 May, 95kg. Actually, all along I was always around this size. This size makes me very difficult whenever it comes to choose clothes, maneuver in crowded places, and many many more. To be honest, during those period of time, despite having quite a few disadvantages, I was comfortable with my size. 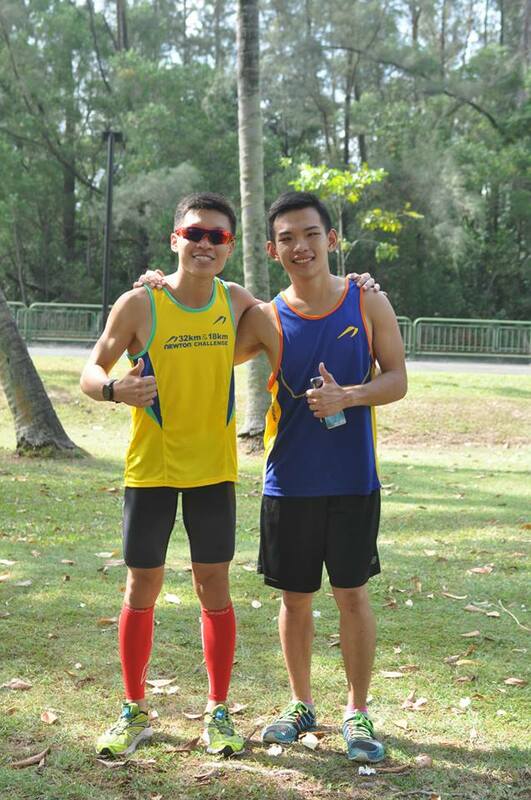 Until one day, while I was sitting along Bedok Reservoir looking at groups and groups of people running past me, a few questions flash through my mind. Why am I satisfy with my size? Why must I stay in this size? Why have I not done anything to lose weight? So later on that evening, I decided to make a change in my life. I decided to go for my “first run”. 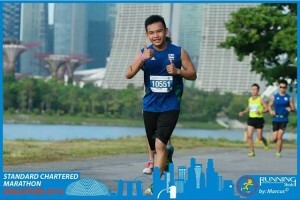 The reason I choose to run is because that I don’t know what else can I do to lose weight beside running, and running is the only sports that I could do with just a running shoes and no other equipment. So I did my first 5km run around my house area, and I spend 40 over minute to complete the run. It was very tiring and I still don’t like running, but I felt a kind of satisfaction when I completed it. At least, I felt that I had contributed to my weight losing plan. So the following day, I forced myself out of the house to do the same thing again. I told myself that I had to at least run 6 times a week. Of course beside running, I had to watch over my diet as well. 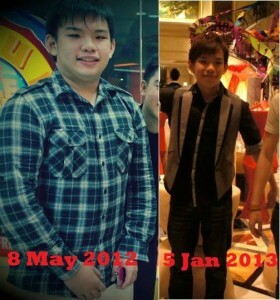 Around july 2012, I manage to see a little bit to hard work being paid off. I loss around 9kg from the day I started running. The next few month after this weight loss was tough. I had to manage between studies,work,runs. So if I had to study on work very early in the morning,I had to wake up earlier to do my runs as by the time I reach home at night is always close to mid night.No one actually expected my determination to last so long, not even myself. 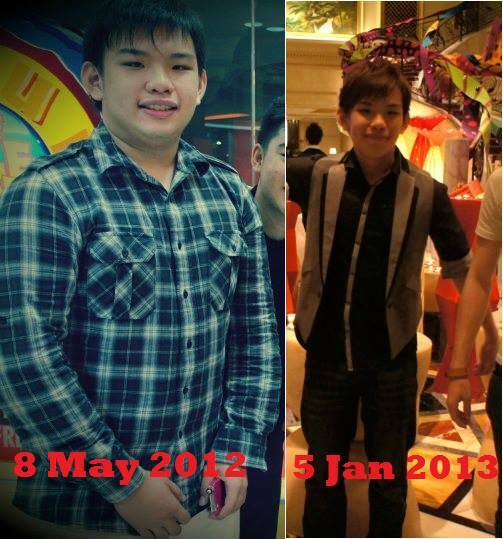 Jan 2013,7 months after I started running, I shocked everyone around me. When I posted my picture up to social media, question starts to come in. “IS THAT YOU?” “WHAT HAPPEN?” “ARE YOU IN THE ARMY?” lots of question all around. See the difference? 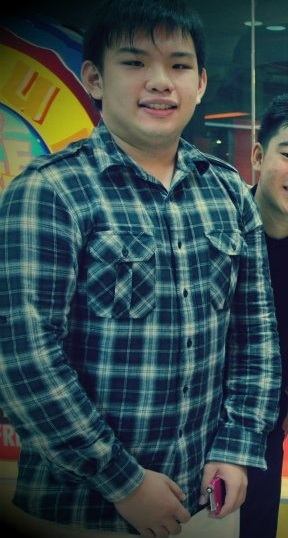 From 95kg all the way to 64kg, my effort for the past few months paid off. Also until then, I found my passion in running. Running no longer is a torture to me, it became part of my life, and I enjoy doing it. 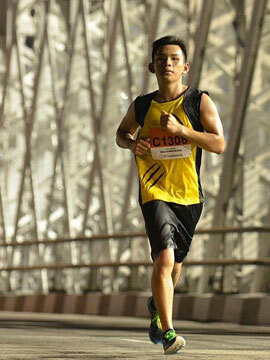 I did my first race in Feb 2013, the URUN 15km + OMB challenge. 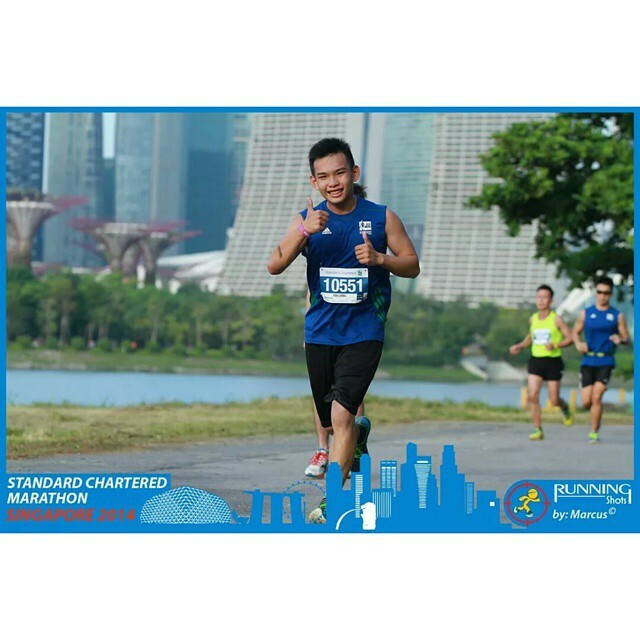 Subsequently, I did my first half marathon(2xu compression run) in march 2013,and my first full marathon(sundown marathon) in may 2013. 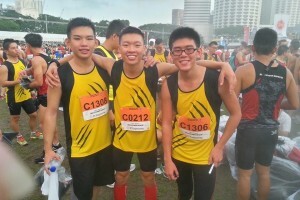 I also achieved my personal best of 3hr 53min for full marathon duing that first FM I joined. Now, 2015 March, I had glad that I still maintain the weight, completed 5 Full Marathon and quite a few other races. 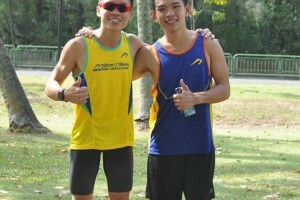 Along this 2 years, I met quite a few great running friends as well. I am happy that my determination was right, if not all these would not had happen to me. So I hope to use to opportunity to share my stories with all the JRL readers. Runners, keep up your this running passion. As for non running, a lot of things can be done, it all depends on how much efforts you are willing to put in. 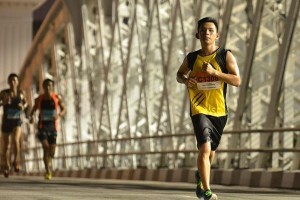 This is how running changes my life,I hope after today, it change yours too. So what are you waiting for? JUST RUN LAH! Click here for more post from sgfever.